The hosts trail by ten points from the first leg at Ashfield and will hope to overturn that deficit to end their campaign on a winning note. 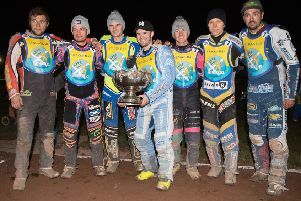 Monarchs team manager Alex Harkess confessed the season has petered out for his team in the wake of their KO Cup semi-final demise at Workington Comets when they let slip a mammoth 28-point first-leg advantage last weekend. The result torpedoed any chance they had of securing some major silverware this year after they failed to reach the Championship play-offs. Harkess said: “We simply did not adapt to the track conditions which were the same for both teams. With the Championship and Premiership divisions set to be retained in 2019 despite rumours of a planned amalgamation, Harkess noted: “One thing in our favour is our combined team average is not too high this year. There will be cuts to the team, as there always are, but nothing too drastic. 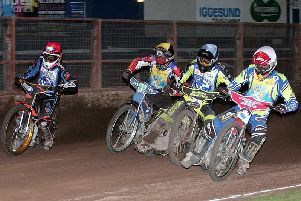 Australian Josh Pickering was one of the few success stories at Workington and Monarchs will look to him to lead the fightback against the Tigers. And after Pickering made it clear that he wants to be a Monarch again next term his name is likely to be the first on the team roster, although he has caught the eye of at least one of Monarchs’ Championship rivals. Glasgow, who face Workington in the play-off semi-finals next weekend, will still want to triumph despite having bigger fish to fry. Added Harkess: “We want to end on a high and you don’t enter any competition unless you want to win and that includes the Scottish Cup.